Confidence & Grace: Blanket Scarf & Target Finds. Blanket Scarf & Target Finds. 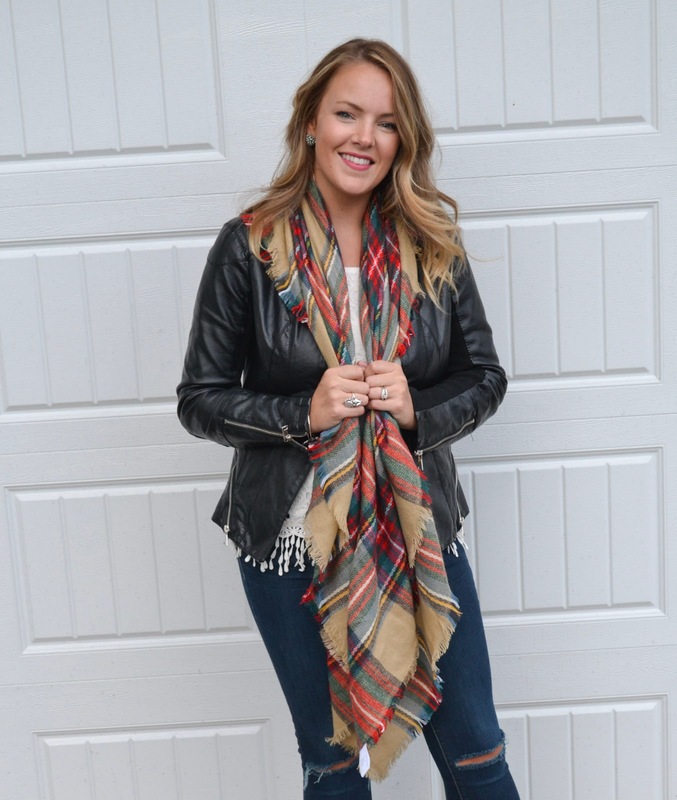 Let's talk about blanket scarves for a minute. This one I'm wearing is a real winner. Guess where I found this one? The Target dollar section. Yes, you heard me right. Which started out as the dollar section but goes up to seven dollars now. Anyways seven dollars for a blanket scarf.. not too bad. I can't believe how soft and big this scarf is and I didn't have to break the bank. 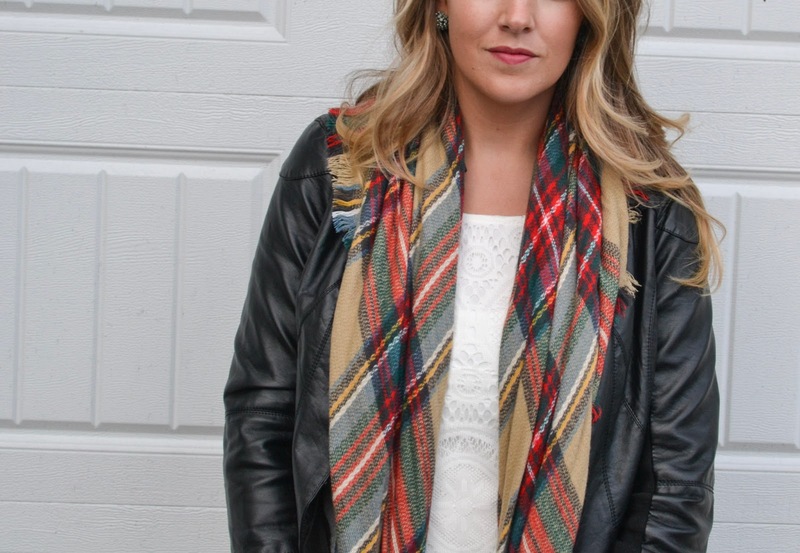 I love playing with textures so I paired this scarf with a lace top & leather jacket that I am loving this fall. I love that it gives my outfit a little bit of a edgy feel. Short and simple post today but I hope you enjoyed and go check out the dollar section at Target .. or should I say 1 dollar, 3 dollar, & 7 dollar section. They did have other colors to choose from.